Nigeria no doubt practices a Republican form of government but In truth, most Nigerians do not understand the concept of a Republic. Of the various Forms of Republics, Nigeria runs a Presidential system of governance. What Is a presidential system? And who are the key players in such system? According to wikipedia, “a presidential system is a democratic and republican system of government where a head of government leads an executive branch that is separate from the legislative branch. This head of government is in most cases also the head of state, which is called president”. In presidential system, the executive is elected and is not responsible to the legislature, which cannot in normal circumstances dismiss it. Such dismissal is possible, however, in uncommon cases, often through impeachment. The executive branch is unipersonal. Members of the cabinet serve at the pleasure of the president and must carry out the policies of the executive and legislative branches. Cabinet ministers are not members of the legislature. However, presidential systems often need legislative approval of executive nominations to the cabinet, judiciary, and various lower governmental posts. A president generally can direct members of the cabinet, military, or any officer or employee of the executive branch, but cannot direct or dismiss judges. The above is the proper definition of a Presidential system of government but what do the Nigerian electorate know? Note that the aforementioned states that the Presidential system is divided into three separate arms ( the Executive, the Legislative and the Judiciary) independent of the other. Two of the three arms are elective positions. With this information at hand, why then do Nigerians focus more on the executive branch of government forgetting that the legislature also has an important role to play in the development of our democracy and country!! The legislature is an assemblage of representatives of people elected under a legal framework to make laws for the good health of the society and one through which the collective will of the people or part of it is articulated, expressed and implemented. The legislature controls through legislation all economic, social and political activities of the nation. Section 4(1) under Part II of the Constitution states. inter alia: “The Legislative powers of the Federal Republic of Nigeria shall be vested in the National Assembly for the federation which shall consist of a Senate and a House of Representatives”. It goes further, in Section 4(2), to state as follows: “The National Assembly shall have power to make laws for the peace, order and good governance of the federation with respect to any matter included in the Exclusive Legislative List”. 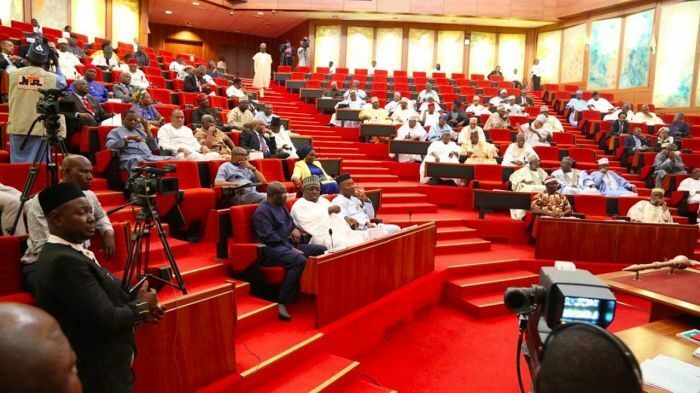 By Section 58(1) of the Nigerian constitution, which provides that, ” the power of the National Assembly to make laws shall be exercised by bills passed by both the Senate and the House of Representatives”. Section 59(1)(a,b) also gives power to the National Assembly to pass appropriation or supplementary appropriation bills, why then do we not show keen interest? Do you blame the masses? Most are ill-informed and misdirected by elements in our political sphere just so as to mystify governance and government. Those entrusted with power often get corrupted and power-drunk. Also enshrined in the constitution is the power for the legislature to have Oversight Functions on government agencies and Ministries. The Legislatures oversight powers are contained in Sections 82-89 with regard to the National Assembly, and 120-128 with regard to the state Houses of Assembly, i.e. supervising the other arms of government to ensure that they implement government policies and programmes as contained in the Annual Appropriation Act/Law of Government. Basically, while the Executive is charged with nomination of head of agencies, the National Assembly is responsible for screening and confirmation of such nominees. As earlier said, a presidential systems separation of the executive from the legislature is sometimes held up as an advantage, in that each branch may scrutinize the actions of the other within the ambient of the constitution. In our developing politics, it’s is important to state that politicians often want a weaker legislative in order to reduce conflicts of interest as witnessed over the years and also in this present dispensation. Controversy has always dodged both the Executive and the Legislature since 1999 when the Fourth Republic came to existence. In-fighting, power grabbing and political scrabble has also always played out, most of the time with the Executive trying to muscle the legislative into doing its bidding, a prominent example is the Third Term Agenda by the then President, Gen. Olusegun Obasanjo. Nigerians should therefore advocate for a stronger Legislative institution at both State and Federal levels by voting competent ( in both capacity and ideology) lawmakers and not mere political figure-heads. By Abimboye Femi (political analyst).